The father of the 30-year-old man convicted in the New York and New Jersey bombings that injured dozens of people calls his son a "terrorist" in an exclusive interview with News 4 New York, and says the FBI let America down. Mohammad Rahami, father of Ahmad Khan Rahimi, told News 4 on Monday -- one day before his son was to be sentenced in the bombings -- that he personally contacted the FBI in 2014 with concerns that his son could be a terrorist. "After two months, they say, 'Your son is not doing any act like a terrorist,'" said Rahami. "I said, 'You sure he not doing anything?' He say, 'Yeah, is good news.'" Ahmad Rahimi was convicted last October of planting two pressure-cooker bombs on New York City streets. 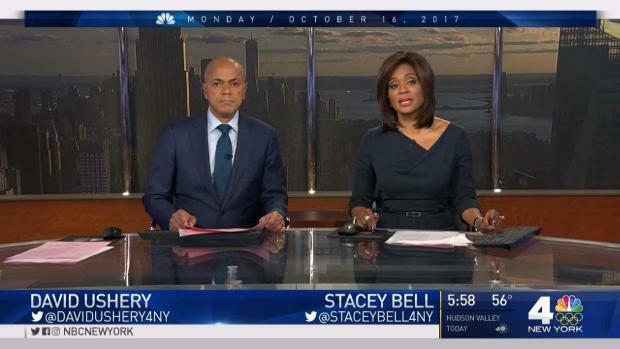 Dozens of videos tracked his movements as he dragged the bombs in suitcases through Manhattan streets, and they also captured the explosion at 23rd Street in the Chelsea neighborhood that injured 30 people. The second bomb didn't detonate. 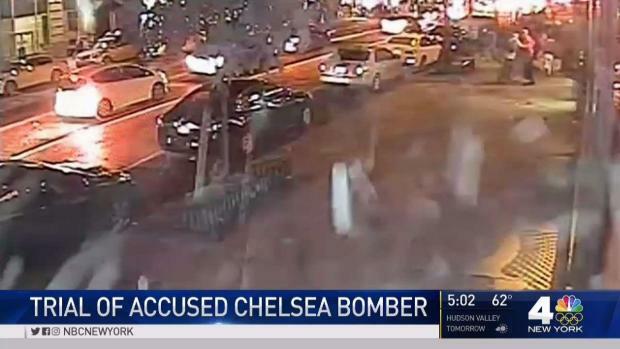 Ahmad Khan Rahimi, the so-called Chelsea bomber, has been found guilty on all counts in a series of bombings in Manhattan and New Jersey in 2016. Andrew Siff reports. The government called it a miracle that nobody was killed by the explosive, which scattered ball bearings meant to serve as shrapnel. Rahami said Monday that his son "did it as a terrorist... this is terrorist." He added, "My son, he did wrong, and the FBI did the wrong, too. The government is responsible for that reason. They have the power to stop the crime and they did not stop the crime." Rahami claims the FBI contacted him after the bombing to apologize for "not doing our job," and that he responded, "It's too late." Rahami says his family has been harassed by people calling them terrorists. In response, "I say I did my job. I am the top of my family, I did my job. You have to go to the government as to why they did not stop this child." News 4 has reached out to the FBI for a response on Rahami's statements Monday. Previously, however, an FBI official told The Associated Press that Rahami "at no time" discussed his son's radicalization or potential interest in al-Qaida, the Taliban or their propaganda in his interviews with FBI agents. The government used a tearful final witness and a closing argument to urge a jury Thursday to convict a New Jersey man in last year's New York bombing, saying he meant to kill Americans but "by some miracle" instead injured 30 people. Andrew Siff reports. Rahami says his son is now remorseful. "He said to me, 'I'm sorry,'" said Rahami. "He told me, 'Thank God I didn't kill anybody, that's good news for me.' I said, 'That's good news for me, too, you didn't kill anybody.'" 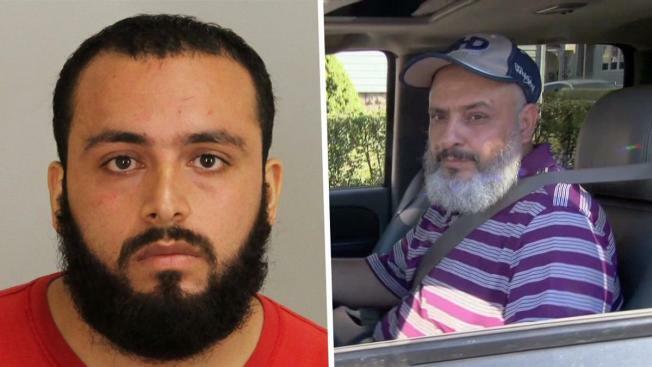 Prosecutors said Rahimi left his home before sunrise that day to plant a pipe bomb along the route of a Marine Corps charity race in Seaside Heights, New Jersey, an oceanside community. No one was injured in the explosion because the race had been delayed. It was then canceled. Hours later, Rahimi went into Manhattan, where he was seen walking from Penn Station to the street locations where two bombs were placed. The first bomb, hidden near a large trash bin, set off a blast that sent the 100-pound dumpster into the air, shattered windows, scattered bits of metal and caused people on the street to scream and flee the area. A bomb at 27th Street was discovered and deactivated before it could explode. The following day, a homeless man and his friend alerted authorities after they found a backpack containing smaller bombs in a trash can near a train station in Elizabeth, New Jersey. 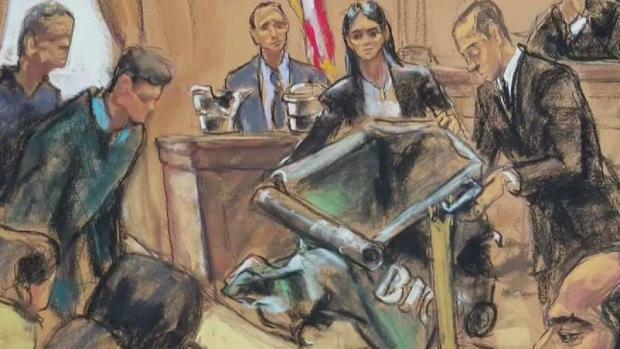 Jurors in the case against a man accused of detonating a homemade bomb in Chelsea were given a firsthand look on Thursday at a hulking piece of evidence that the government says shows the defendant's determination to do harm: a dumpster destroyed by the blast. Andrew Siff reports.